An ESA is like a “slang” term used commonly for emotional support animal. In most cases, any domesticated animal such as mice, rabbits, dogs, cats, birds, ferrets, can be registered as an ESA. But, mostly cats and dogs are the most preferred choices. These animals are a source of emotional support, that is why the name. Unlike service dogs, these animals do not require any special training. There is completely no doubt regarding their therapeutic benefits, Even various studies and surveys have confirmed to the facts that pets are a source of positivity and happiness in the lives of almost everyone. Because they inspire their owners both mentally and physically. Various pre-clinical research and studies have revealed that contributing to different activities that involve a pet significantly improves the endorphin levels in the body. These hormones are primarily responsible for managing and balancing the mental health of a person. Also, some studies have shown that just by petting an animal, there has been a tremendous improvement in the BP levels which is usually the cause of the rise in anxieties. Plus, a pet makes its owners socially more accepting than otherwise. In short, they are helpful in providing a sense of calmness, comfort, happiness, and safety among the patients dealing with one or the other form of emotional or mental health disturbances. Are Emotional Support Animals And Assistance Animals the Same Thing? Absolutely a big “NO”. Assistance animals is a category which provides support to the providers in one or the other way. ESAs are basically one class of this category. There are basically three classes of assistance animals that are often confused with each other. As per the guidelines issued by the American with Disabilities Act, these animals need to be specially trained to perform tasks of the patients with some form of disabilities. For instance, fetching, crossing a road, are among the many tasks performed by these animals. Also, these animals are required to have social skills along with impulse control abilities. These animals are usually for providing an environment of comfort in and around institutions such as hospitals, or disaster areas. They can be present in schools or clinics as well. There is no registration required with such animals. Only they must have the right behavior to be around people spreading happiness instead of terror. These animals are like emotional caretakers which help people with mental disabilities to perform their tasks better without getting any sudden emotional breaks. For a pet to be an ESA, you must have a valid recommendation by a mental health professional or else you will lose all the benefits of having an ESA. Many people suffering from a range of mental health disorders are able to add positivity in life just by being with a pet. Here are some of the other ways that a pet offers more than just companionship. -Helps to deal with emotional outbursts by regulating the hormonal levels. Or just inducing the processes to enhance the levels of endorphins. -ESAs can be used in coordination with other ongoing treatment therapies. Thereby, enhancing the efficacy of treatments. -Having ESAs by your side will help to boost the immunity as well. There have been many reports which have confirmed that petting a dog helps in increasing the levels of antibodies. -Who can forget about those tiny attention seekers? They help the patients to relieve social anxieties as well. -And of course, having an ESA by your side will help to attain physical health as well. -You will be allowed to live with your pet with no additional pet charges even in the societies with “no pet policy”. -You will be allowed to fly with your pet inside the cabin at no extra charges. -And no other registration will be required as well. ESA letter is a recommendation or a legal approval by a licensed mental health professional which notifies that you need a pet as assistance for enabling you to take care of your emotional needs which are otherwise impossible because of a number of known and unknown triggers. Most people don’t feel the requirement of having an ESA letter. But, under the current circumstances, it is definitely something that can be beneficial in many ways. Reason being, it is supported by two federal laws which provide extra benefits besides the known medicinal advantages. So, if you are looking for legal protection such as flying and living with your pet at no additional charges, then you will need this recommendation letter. An ESA letter issued by the mental health expert should indicate clearly that you are a mental health patient of the doctor, and that you are taking the treatment as per the guidelines laid down by the updated Diagnostic and Statistical Manual of Mental Disorders, version 4 or 5. Plus, it should also state that the doctor has recommended you for an emotional support animal as a part of your therapy treatment plan. So, be with your ESA and transform your life while indulging in a number of activities such as walking, cuddling, and others with your ESA using a genuine ESA letter. How To Qualify For An Emotional Support Animal Letter? To be eligible for an emotional support animal letter, the mental health professional (psychiatrist, psychologist, or a licensed clinical worker) must suggest that you require an ESA letter. However, in most cases, the qualifying conditions must be stated in the Diagnostic and Statistical Manual of Mental Disorders, version 4 or 5. But, the conditions are not limited to these disorders. Usually, the conditions which limit a person’s ability to perform even the normal or daily activities of life because of the sudden fear or phobias surrounding a patient, then you are eligible for having an ESA recommendation. Also, look for your state’s guidelines for obtaining an emotional support animal recommendation before starting with the process of application. You can also talk to a mental health specialist first to get a clear picture while applying for an ESA letter. How To Apply For An ESA Letter? You can ask for an ESA letter to your mental health professional also. However, in times when face-to-face consultations can be a little out of bounds, telehealth services can be your life savior. -Create an account- Fill out your medical and personal details in the online application form provided with the ESA letter providers. You will be asked a standard questionnaire concerning your mental health. -Talk to the specialist-You will get a confirmation message about the timings of the video call. You can also ask for a particular schedule as per your requirements. Here, the doctor will ask you questions concerning your health condition and evaluate accordingly. -Get your recommendation letter- As per your desired requirement, you will be either mailed a housing or a flying letter. However, you can opt for a 2-in-one letter as well. The letter will be issued only after the doctor’s clearance. The soft copy will be mailed instantly. But, the hard copy will be received within 3-5 business days. Just make sure the pet that you are registering as an ESA is well-behaved and does not pose any threat to others in the vicinity. How To Ask A Doctor For ESA Recommendation? Having an ESA letter has a lot of perks- like flying with your pet or living in a place even with “no pets allowed” policies at no additional costs or deposits. However, for that first you are required to have access to a genuine ESA letter or recommendation by a licensed mental health professional. Here are some tips and tricks to start a conversations to an ESA doctor right away. -Start with a complete homework concerning ESA. Basically, it involves understanding the concept of an ESA such as benefits, its effects on an individual, requirements, and others. This will help to avoiding trapping in any scams whatsoever. -Get all the medical health records in one place before applying for an ESA letter online. This will save you a lot of time while filling out the online form. -While asking for an ESA letter, you need to honest and never lie of having any mental health issue. Or else you will have to face consequences. What Are The Emotional Support Animal Federal Laws? There are three types of assistance animals — Service, Therapy, and Emotional Support Animals. While service dogs are protected by the American Disabilities Act. There are two federal ESA laws which provide perks to the patients living with any form of mental health disability. As per this Act, you and your ESAs will be allowed to live in a “no pets” policy housing societies or condos. The law clearly states that landowners or building managers will have to provide a reasonable accommodation for you and your pet. Plus, they cannot charge anything extra while renting you the apartment such as pet deposits. This law is helpful by enabling you to fly with your pet even into the airplane cabins. And this too with no additional charges. However, it is recommended to notify your airplane providers before 48 hours of the scheduled date of the flight. But, all of this can only be possible only when you have a valid ESA recommendation letter for your pet that too signed by a licensed mental health professional. Or else you might have to face legal penalties for faking your pet as an ESA. How To Fly With Your Emotional Support Animal? As per the guidelines laid down by ACAA (Air Access Carrier Act), any airline provide does not have the authority to disapprove you from flying just because of your disability. Other than that. Here are some tips and tricks when planning a vacation with your ESA. -Contact your respective airline provider well in advance (at least 48 hours prior to your flight date). -Once you reach the airport for flying with your ESA, inform the airline representative that you are flying with your pet. -After boarding the flight, inform the attendees as well that you have an ESA along. So, if your ESA is larger than the seat, they can arrange a seat for you in a bulkhead to help you travel with comfort. We hope the tips will help you plan your documents and other legal formalities well in advance to make your journey a memorable one. So, make a plan with your companion and have a life filled with happiness, and positivity. How to Find An Apartment To Live With An ESA? According to the FHA 1988, Sec. 504 of the Rehabilitation Act 1973 and Title 2 of ADA, no landlord can discriminate you against renting an apartment because of your disability. This is because an ESA is essential for a person who are in need of an emotional support. According to this law, a landlord is required to provide you with a reasonable accommodation (which is a suitable change to the ongoing guidelines which will help the patient to live and enjoy the place equally as others) in case of patients with requirement for a pet as an assistive aid. Also, the rule is applicable to the housing societies and condos which have “no pets” policy. However, there might be some exceptions to this rule, where a landlord can deny your request for renting an apartment. For instance, if you ESA is threat to the safety of others. Or if your ESA is responsible for sudden financial burden to the providers. Or buildings with 4 or fewer units where the landlord lives in one of the units. In other circumstances, if you have a valid recommendation letter with all the exceptions covered, then you can file a complaint to HUD. For more information visit: www.hud.gov/offices/fheo or call 1-800-669- 9777. How to Spot A Fake ESA Website? The advancement of the technology also results in the rise in various scams as well. So, if you are not careful while applying for an ESA letter, you might end up paying a fine around $1000, or your rights of having an ESA might be dissolved. Some tips and tricks that will help you to avoid such scam websites or portals. -Don’t fall prey to instant approvals. Such sites work for just duping people and providing with fake letters without letting them talk to a professional. -Beware of the hidden costs. Some websites circulate ads of minimal amounts for obtaining ESA recommendations. However, you must understand that a licensed professional would expect to earn something for consultations. There is nothing that comes “free” in this world. -Websites with physical address mentioned. There are many websites which are working only by providing the PO Box number or nothing at all. You must only obtain your ESA letter which have a medical clinic with established clinic history. -Registration for ESAs. Legally, there is no requirement of having any form of ESA registration other than having an ESA letter. So, if sites are asking you pay extra for registration. Stop right there. So, check for the licensed doctor’s official letter, the license number, date of issuance, your name, and you will be good to go. Will My ESA Require Any Vest? Legally, having a vest for your emotional support animals is definitely not required. But, still, buying it will be of good use especially because people are able to identify you ESA even at distance. Also, having an ESA vest will be helpful while traveling and finding an accommodation as it will notify the people that its an assistance animal. In addition to that, it will help signify that your ESA is on the “work mode”, or something like “don’t disturb”. Reason being, pets are very cute which engage a lot of viewers wherever they go. So, having a vest on your ESA will help you maintain the desired calmness and peaceful environment which is the ultimate requirement of any mental health patient. So, finding a suitable vest for your companion should always be on the list of requirements. For that, you need to measure the size of your ESA, preferably cats or dogs around their girth. Cape Vests that comes in two sizes- regular and tiny which are light in weight with high durability. They might be available in mesh or cotton fabrics. These are made using a high quality materials with water-resistant properties. They come along with leashes as well. Can I Take my ESA To Any Public Place? There is a lot of difference between the types of assistance animals. For instance, service animals are allowed to be with their handlers at all times. However, the case is not same for emotional support animals. Emotional support animals are only allowed to be in the areas within the housing society along with flying with the airlines. The rule of ESAs apply to the college dorms as well after HUD asked FHA to include college dormitories into the housing act as well. For others, you need to ask beforehand, if they allow an emotional support animal into their premises or not. If you have planned an outing with your pet, here are some tips that you need to follow for avoiding any mess afterward. You need to judge whether or not taking your ESA in the public would be a good idea. See for the mood of your ESA, or else you will end up paying extra bills to the place owners. Take along water and food for your pet or else they might turn a fun evening into a horrible event. You might end confusion by having a ID card and vest for your ESA. Keep emergency contacts for your ESA always within your reach to avoid any sudden mishappenings. You are allowed to fly with your ESA if you have an ESA letter. However, every airline has different requirements that you have to comply with. Most of the airlines do not allow the following pets on board such as hedgehogs, ferrets, insects, rodents, snakes, spiders, reptiles, goats, non-household birds (farm poultry, waterfowl, game bird, & birds of prey), and pets with tusks, horns or hooves. 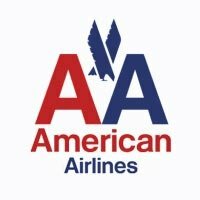 These airlines can refuse your ESA if it starts growling, jumping on passengers, relieving themselves in the gate area or cabin or eating off seatback tray tables. 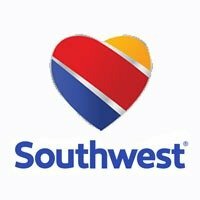 Southwest Airlines accepts both emotional support animals as well as service animals at no extra cost. Other animals are not allowed to board the plane as an ESA under any circumstances. The emotional support animal must be either a dog or cat. The Customer has only one emotional support animal. A legitimate and authentic ESA letter signed by a qualified therapist. Only one emotional support animal is allowed per passenger. We do not permit the following as service or support animals, as these animals pose safety and/or public health concerns. If you have additional questions, please contact the accessibility assistance line at 404-209-3434. Fully-trained service animals and emotional support / psychiatric service animals may fly in the cabin at no charge if they meet the requirements. Emotional support / psychiatric service animals must be in your control at all times by leash and / or harness. If this behavior is observed at any point during your journey and isn’t corrected or controlled, the animal will be considered a pet and all requirements and applicable fees will apply. Emotional support / psychiatric service animals assist individuals with emotional, psychiatric or cognitive disabilities. Specific training isn’t required for animals to meet this classification. Only cats and dogs are accepted as emotional support animals. Advanced notice and approval is required to bring an emotional support / psychiatric service animal with you in the cabin. Dogs and cats are accepted as service animals; miniature horses will be evaluated on a case-by-case basis. As the requirements for transporting each type of animal differ, our employees are trained to ask certain questions to determine the classification applicable to your animal. To travel with an emotional support / psychiatric service animal in the cabin, you must submit all required forms to the Special Assistance Desk at least 48 hours before your flight. We’ll notify you upon document approval. If you don’t complete or meet all the requirements, your animal may be able to fly as a pet. All applicable fees apply. If you have a flight over 8 hours in your itinerary, the Animal Sanitation Form is also required stating your animal won’t need to relieve itself or can do so in a way that doesn’t create a health or sanitation issue. United Airlines allows emotional support animals only on flights with 8 hours or less in duration. 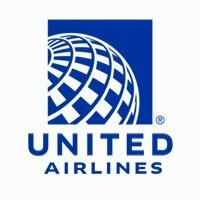 All the required documentation should be submitted to the United Airlines accessibility desk at least 48 hours prior to the scheduled flight via email. 3) a veterinary health form completed by a licensed veterinarian. These forms are valid for one year from the date of the earliest of the signed authorizations and must be submitted at least 48 hours before each trip; ideally well in advance of travel. Other documentation may be required for travel entering or exiting an international location or Hawaii. Animals must be properly controlled. If an animal kennel or other carrier will be used, it must meet the USDA guidelines and fit under the aircraft seat. With prior documentation and clearance, a customer may travel with no more than one emotional support animal, which cannot weigh more than 65 pounds. Multiple emotional support animals for a single customer are not permitted. Please submit your completed forms as soon as possible via United Airline’s secure portal. The required travel documents for your emotional support or psychiatric service animal must be submitted for approval at least 48 hours prior to your day of travel. Please bring your original forms with you while traveling and be prepared to present them to airline representatives if requested. With respect to an animal used to assist a qualified individual with a disability, the animal must be trained to behave appropriately in a public setting. Animals found not to have been trained to behave will only be accepted in accordance with United’s current pet policies or may be denied boarding. 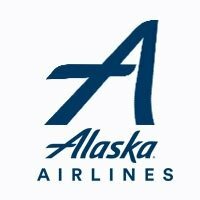 Alaskan airlines support the traveling of emotional support animals for free. However, the size of the animal is restricted to the footprint or space of the passenger’s seat or foot area. 2) Emotional support animals must always be under the control of the passenger at all times. They must be leashed or carried in the approved carrier that will fit under the seat of the passenger in accordance with the FAA guidelines. 3) FAA guidelines state that an emotional support animal must always be seated under the seat in front of you at all times (either for taxi, takeoff or landing). 4) The airlines recommend avoiding overwatering or feeding your animal on the day of travel. Occupy a seat or tray table during the flight. Obstruct areas that need to be cleared for emergency situations. Occupy the seat in the exit row. Passengers with an ESA must check-in at least an hour before the scheduled flight time. 1. What is an emotional support animal? A pet which helps you in every way to avoid those sudden emotional outbreaks or symptoms concerning mental health disorders can be considered as an emotional support animal. 2. Are emotional support animals similar to assistance animals? They are a category of assistance animals. However, this category also includes services and therapy animals. 3. Are all the categories of assistance animals the same? No. Emotional support animals and therapy animals have limited advantages. While service animals enjoy much more than the other two categories. Also, services animals are required to undergo training for helping their owners, but for other assistance animals, there is no such requirement. 4. Which pets are allowed to be considered as ESAs? There is no hard and fast rule for an ESA. any domesticated pet can be considered as an emotional support animal as long as they are providing you with the necessary emotional support. However, mostly cats and dogs make to the preferred list. 5. What is an ESA letter? Emotional support animal recommendation is nothing but a confirmation by any licensed mental health professional that you require the support of a pet for both mental and physical health. 6. How do I qualify for an ESA letter? According to the updated Diagnostic and Statistical Manual of Mental Disorders, version 4 or 5, the following medical conditions will help you qualify for an ESA letter — depression, anxiety, stress, post-traumatic stress disorder, panic disorder, premenstrual dysphoric disorder, obsessive-compulsive disorders, body-dysphoric disorder, personality disorders. 7. What does an ESA letter signify? It notifies the concerned authorities that you are taking treatment by a mental health professional for your mental health disorder. While further verifies that you have limitations such as depression or anxiety which is affecting your mental health. 8. How to apply for an ESA letter? Obtaining an ESA letter has become simplified. The process goes like this- Create an account, fill out your details with some standard questionnaire, consult with a mental health professional. Just follow the steps and you will be able to receive ESA letter within a few minutes. 9. What are the benefits of having an ESA letter? With an emotional support animal letter, you will be able to rent a housing apartment or condo even with “no pet policy”. Plus, you will be able to fly with your pet in the flight cabin. And, all this with no additional charges or pet deposits. 10. What is the price of an ESA letter? You can get an ESA letter for $79 or get a 2-in-1 recommendation that covers both housing & travel for $99. 11. How to spot a fake ESA letter? In order to see whether or not you are getting a valid emotional support letter, look for the following elements- official letter with the name and license of the therapist, name of the patient, date of issuance of ESA letter. Along with this, beware whenever you see a site saying instant approvals with no follow on services. 12. What are the laws that support an emotional support animal? There are two federal laws which support patients with emotional support animals — Fair Housing Act (FHAct), Air Carrier Access Act (ACAA). 13. 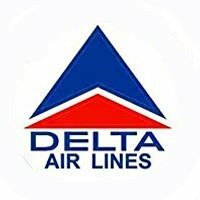 What does the flying law signify? As per the guidelines, any person with a valid recommendation letter will be allowed to go with their pet inside the cabin at no additional charges. 14. What does housing law signify? According to this, a patient with an ESA letter will be able to live without any restrictions even in the apartments with “no pet policy” restrictions with no additional pet deposits. Also, the law states that the landowner should provide reasonable accommodation for you and your pet to live peacefully. 15. How to use an ESA letter while flying? While planning for a vacation with your pet, send the required documentation (Health record, Behavior certificate, vaccination record along with your ESA letter) to the service provider at least 48 hours before the scheduled flight to take advantage of the benefits that come with having an ESA letter. However, make sure to read the guidelines mentioned by your airline provider for any other additional documents that will be required in addition to the mentioned documents above. 16. How to use an ESA letter when looking for a place to live with your pet? While looking for accommodation, you can share your ESA letter with the landowner. This will enable you to tell the person that you are legally qualified to live with your pet without paying even a cent extra besides monthly living charges. You can also get a behavior certificate to make your landlord understand better about your pet. 17. Does my pet require a vest? You are not required to buy a vest for your emotional support animal. However, having a vest will make it possible or easy to distinguish an ESA with a pet animal. As all pet animals need not be ESA. 18. Can I take my ESA to my college campus? According to Section 504 of the Rehabilitation Act of 1973 along with the Federal Fair Housing Act (FHA), any housing provider which includes college campus as well, cannot deny you the right of accommodation just because of a pet. This rule came into effect when the U.S. Department of Housing and Urban Development (HUD) guided FHA to include dormitory rooms into the Act as well. 19. Will I be allowed to take my emotional support animal to any place? Unlike service animals, ESAs are not allowed everywhere. However, you can always ask before making a reservation or look for pet-friendly places or parks.